The Peterborough Horticultural Society has been an active part of Peterborough, Ontario life since 1861. We meet on the fourth Wednesday of every month except July, August, and December at the Peterborough Lions Community Centre at 347 Burnham Street. You are welcome to drop in between 6:30pm and 7pm and try us out for a $2 guest fee. We have interesting speakers and you can chat with fellow gardeners in our area. We serve coffee and goodies at 6:30pm with the meeting starting promptly at 7pm. Our goal is for the formal part of the meeting to be finished by 8:30pm. 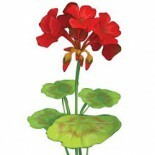 We have many activities including plant sales, hands-on workshops, and flower & photography competitions. We have an extensive lending library of gardening books. Learn about all the things we do using the menu items to the left. 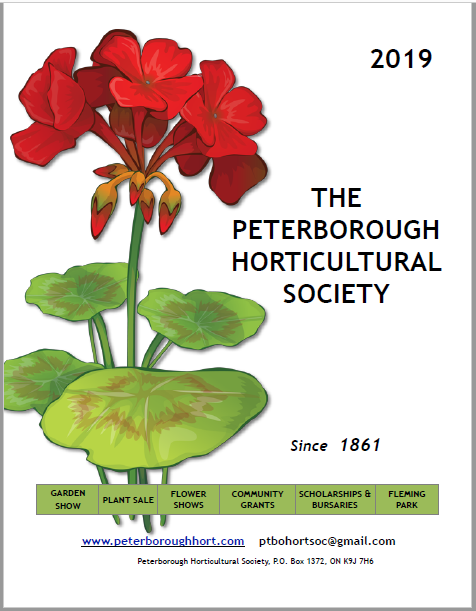 One of our major activities of the year is the annual Peterborough Garden Show. The preparations for this year’s show are well under way! Please consider joining us on April 26, 27 & 28, 2019 at Fleming College’s Trades and Technology Centre, Peterborough. More information about the show can be found on the show’s website or by clicking on the show logo to the right. Proceeds from the show are used for scholarships and beautification projects. Since 2002, the Peterborough Horticultural Society has given away over $200,000 to worthy students and projects! Amazing what a group of volunteers can do when they work together toward a common goal. We can always use more volunteers, though — come out and join the fun.